At the very beginning, there was a book (with the same title) and the website was created as a continuation of the book's project,- aiming to bring the message to a larger audience. The very first version of the book was translated from german into french and dates back to 2001 (!!!). The landscape and context of the cosmetic sector, the media and even end-consumers have considerably changed over the years, ever since. The project has been copied by other websites on numerous occasions, but the work Rita Stiens initially crafted remains unique…The critical voice she has been claiming over decades concerning the cosmetic industry remains essential, even today. When it comes to how the cosmetic industry is considered in general, we can really consider a period « before » and « after 2005 », at least in France. The fact that potentially dangerous and toxic ingredients can be found in cosmetics was mentioned on TV, raised a much larger awareness and consumers started asking themselves legitimate questions about what impact cosmetics ingredients could have on their health and the environnement. The situation may vary from one country to another, but the subject itself has been brought up in many different countries and cultures and needs continuous research and updates. Created in 2009, this site - www.laveritesurlescosmetiques.com - completed its book to make its work accessible to the greatest number. At the end of 2015, the entire website went over to another writer : Anne Dubost, who had formerly worked for a large distributor of organic cosmetics in France and therefore had a profound knowledge of the cosmetic industry, it's current issues and its evolution. I've been involved in a number of other projects for a while now, for instance an interesting local political project concerning the small town in Germany, where I live. I am now definitely on my way to new adventures, just as fascinating as the one that I created around the cosmetic industry and its issues, which started more than twenty years ago, when I was a freelance journalist. 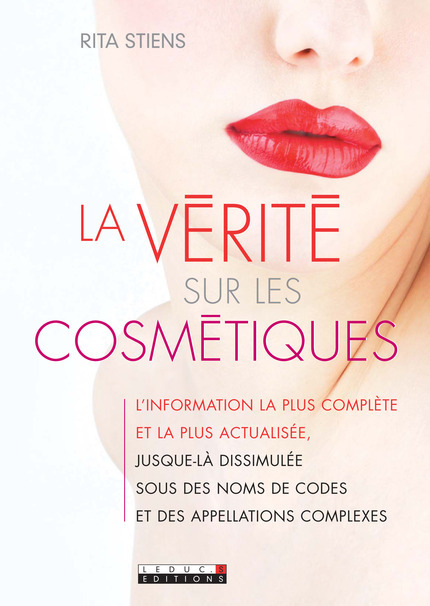 The book « the truth about cosmetics» was first edited in Germany in the late 90', then translated into french in 2001 and is now available in four languages. Such a long journey … from its beginnings until now ! 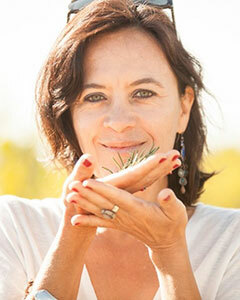 In most european countries, an impressive quantity of new organic certified brands have been created ever since and the « conventional » cosmetic sector now has to face serious competition with the certified organic market, which is more innovative and dynamic than ever… It has been a real pleasure for me to follow the path of this evolution and all these changes over those years. But there is basically just one certainty in life : everything changes. I have therefore decided to get more involved in other, different projects, that take up all of my time, every and attention. In order to keep the project up and running, I therefore decided to pass the entire website over to a professional contact I knew very well : Anne Dubost, former head of communication department in a company dealing with organic brands. She has been following the evolution and issues of the entire sector in depth over the years, which enables her to put things into the right perspective. I would also like to thank all those readers who have been supporting my work and project during all those years… It was a most fascinating path, rich in emotions and also setbacks…. but always worth the investment ! I have been in contact with Rita Stiens for a long time now and regularly collaborating with her on different translations missions. I've always admired her serious approach, her integrity and determination to lead her research in an independent way. As a freelance journalist, she very often took the challenge to directly address very controversial issues, with her critical approach. And this critical approach was not only targeting the «conventional» sector (even if most of the serious issues can be found there…), but also sometimes the incoherences within the organic, certified sector. And remembering all the work Rita had done for theses subjects in France especially and taking into account that she was considered a reference in this field by a number of professionals, journalist or end-consumers, the determination to continue her work eventually brushed all my small resistance away : the project of this website had to live on! As a former communication professional within the organic cosmetic industry (working for Bleu Vert; distributor of brands like Logona, Aqua Bio, SANTE, Neo Bio, Lakshmi, Aries and Sodasan), I have been able to take in a considerable amount of knowledge on the subject of cosmetics and the french cosmetic sector. I shall therefore do my very best, in taking over this most valuable, historic project and will continue to lead the website in the same way, providing research and critical information, so that these precious informations get an aven larger audience.